Pretty as You Please! Be Kissed by the Lemon Kiss Fashion - Triple Joys!!! Yna is wearing one of her favorite Lemon Kiss dress. My younger daughter, Reena Joy really loves to dress up. 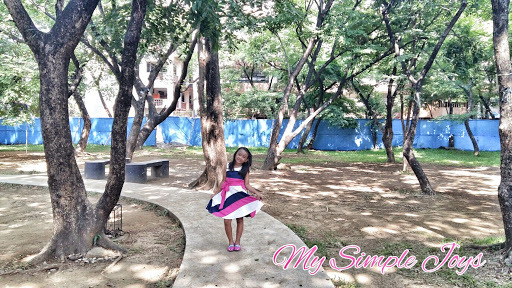 Compared to her ate, she's definitely the more kikay one, the one who is more into fashion! At a very young age of 4, she was already the one choosing her outfits. 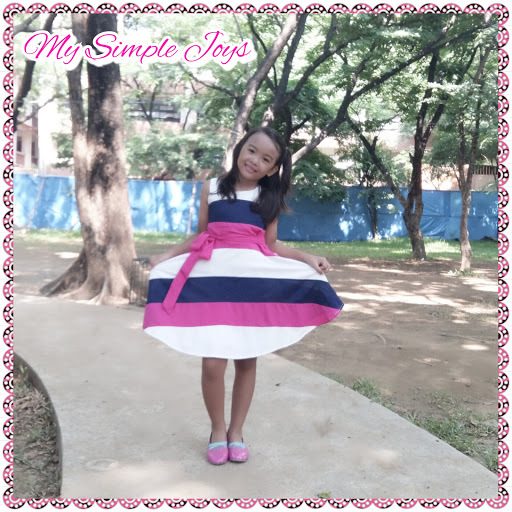 While her ate is contended with shorts, jeans and shirts, she prefers to wear dresses, skirts, and layered outfits. I usually tag along my daughters whenever I go shopping for their new clothes, so as to give them the freedom to pick their preferred design and style. 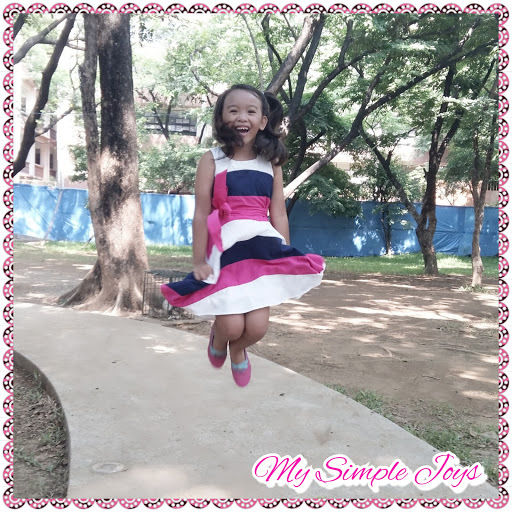 It was during this one shopping day that my daughter chanced upon the Lemon Kiss brand, and she immediately fell in love with the clothing line! Their hip styles and colorful designs really caught her attention! From then on, this brand has always been on the top of our list when shopping for my daughters' clothes! There is really no need to worry about the price because most Lemon Kiss products doesn't usually go beyond P1,000! Pretty affordable, right? But aside from its fashionable designs and affordable prices, what I also like about Lemon Kiss is the fabric that they use. All their products are comfortable to wear! Even for those kids which has sensitive skin, there's really no need to worry about itchyness because they really made sure that there will be no fluffs (himulmol) on every clothing. The dresses even has extra layer underneath so as to really prevent skin irritations. Nice, di ba?! So, next time you go shopping, do drop by the Lemon Kiss stores/ kiosks available at all leading shopping malls and delight your eyes on their wide-array of fashionable clothing line! Lemon Kiss dresses are so comfortable to wear that kids can easily move around! It really looks nice to see kids wearing cute and fashionable clothing. Your daughter has a fashion sense at a very young age. Maybe she could be a fashion blogger or a model later on. It's also great that there are affordable clothes that don't compromise quality and style. 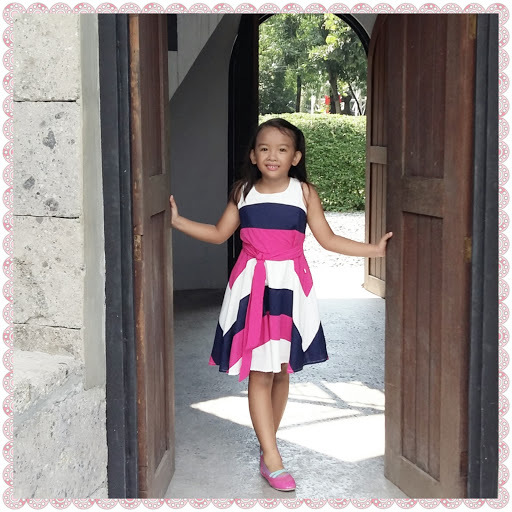 Kudos to you and your little fashionista for a great find! I love their designs! Your little girl is rocking her dress! Future fashion blogger in the making! Pretty indeed! I also don't like 'himulmol' when picking kid's clothing. Minsan kase sa mga tiangge mahirap pumili ng pinakamagandang quality kaya ma's maganda din pumili sa store mismo. It doesn't have to be the most popular brand. Pag dresses, its best to buy from brands. Pag casual attire, OK lang sa tiangge, IMO.